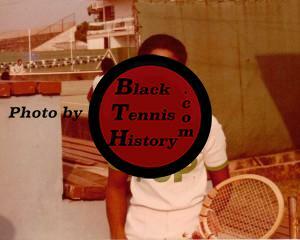 The following photos were taken in Benin City, Nigeria in 1978. 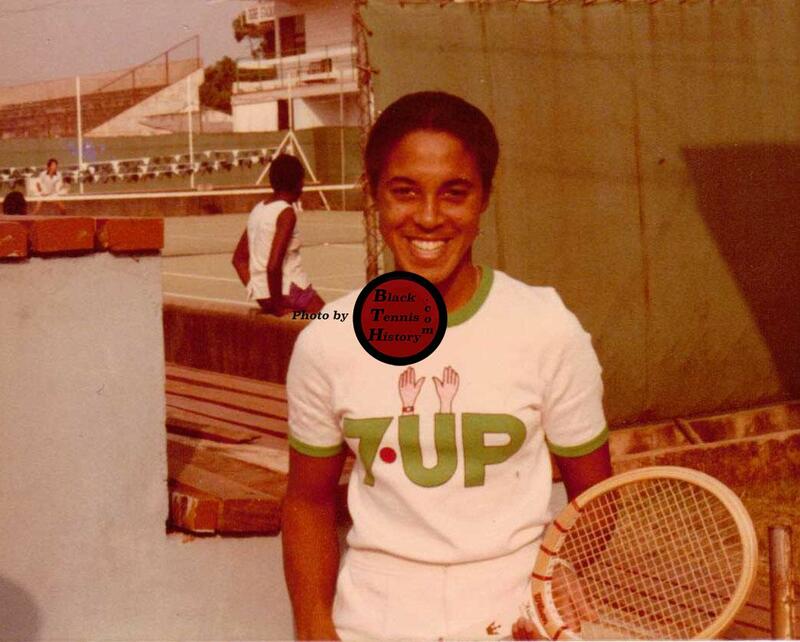 7-Up and the Black Tennis & Sports Foundation sponsored a team of players and their coach, Bob Davis, to compete in the Ogbe International Hard Court tournament. 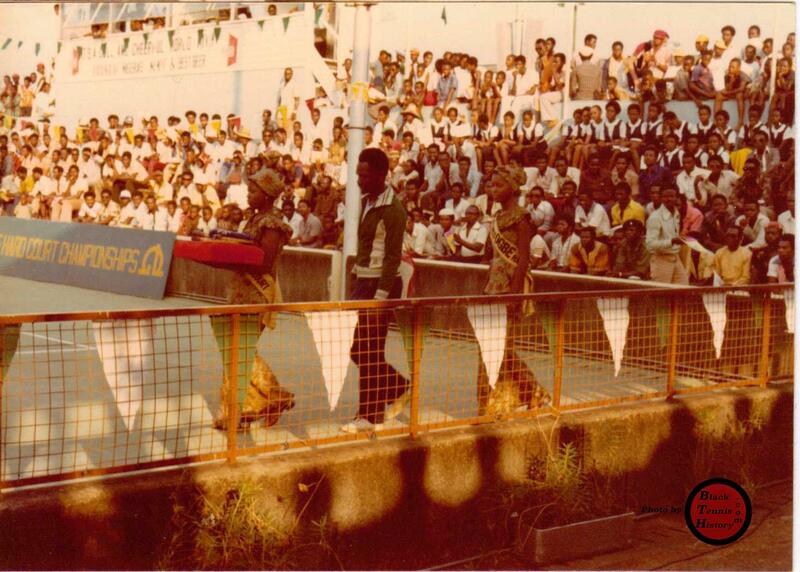 The first photo shows the pomp and circumstance exhibited by the host tournament. 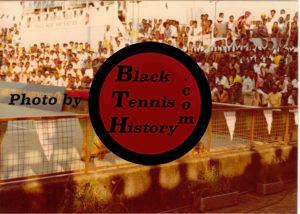 Players were introduced to the audience and they were led to courtside on a red carpet while their racquets were carried on satin pillows. This second photo, being honored by playing a fun doubles match with the U.S. Ambassador to the United Nations, the honorable Andrew Young. 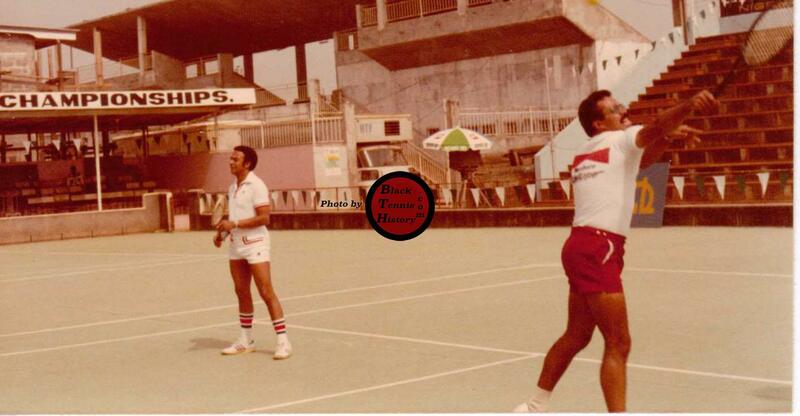 Ambassador Young happened to be traveling in Nigeria and learned of the American contingent that was there to play in the tournament. He made an unscheduled stop to join the team – and hit a few balls, for the afternoon. 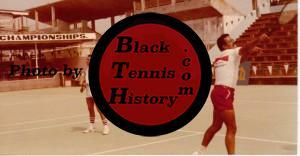 The following photo shows the American team that was sponsored by 7-Up and the Black Tennis & Sports Foundation. Team members were Jesse Holt, Leslie Allen and Diane Morrison. Canadian brothers Harry and Guy Fritz are shown enjoying the afternoon with the American team. 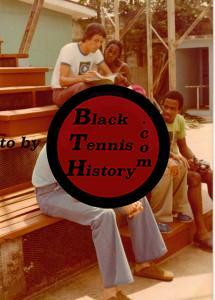 Jesse Holt became a collegiate coach, Leslie Allen played on the WTA circuit and rose to # 17 and Diane Morrison became a doctor. played several years on the pro tour and later became a anesthesiologist. Dr. Morrison practices in Philadelphia, PA.